Hard to believe that October is upon us already! This months kit is a rather spooky looking set and sometimes can be found with fall colors hidden beneath its black cat exterior. I would of course be talking about Ludwig’s infamous Black Panther wrap. I was fortunate enough to find this kit of all places on eBay a couple years back. I found it hard to believe NO ONE bid on the kit. It looked to just need a real good cleaning from what I could see in the pictures. So I contacted the seller & made an offer. He accepted! Fast forward two weeks and the drums arrived and I found myself with the task of restoring a very dirty drum set. After much advice sought to determine the best way to clean the wrap, I began my much-anticipated project with a hopeful outlook of the end results. My set configuration is the uncatalogued Super Beat. This is a Super Classic set up with the optional 14x20 bass drum instead of 14x22. So 14x20, 9x13 and 16x16. This is one of my personal favorite combinations as the 14x20 kicks pack a big punch! This set had very minor rash on the tom and the bass drum hoops needed repainting. All the chrome was mostly pit free and the shells are in great shape. The faded Black Panther wrap was brought back to life by a car care product. I used a version of Armor All called Outlast Protectant. As you can see, the end result was more than I had hoped for. The wrap was given new life and now shines and looks to have depth again. Other vintage drummers often ask me if I checked under the Black Panther wrap for the hidden citrus mod or mod orange. I did. There was only beautiful wood underneath. 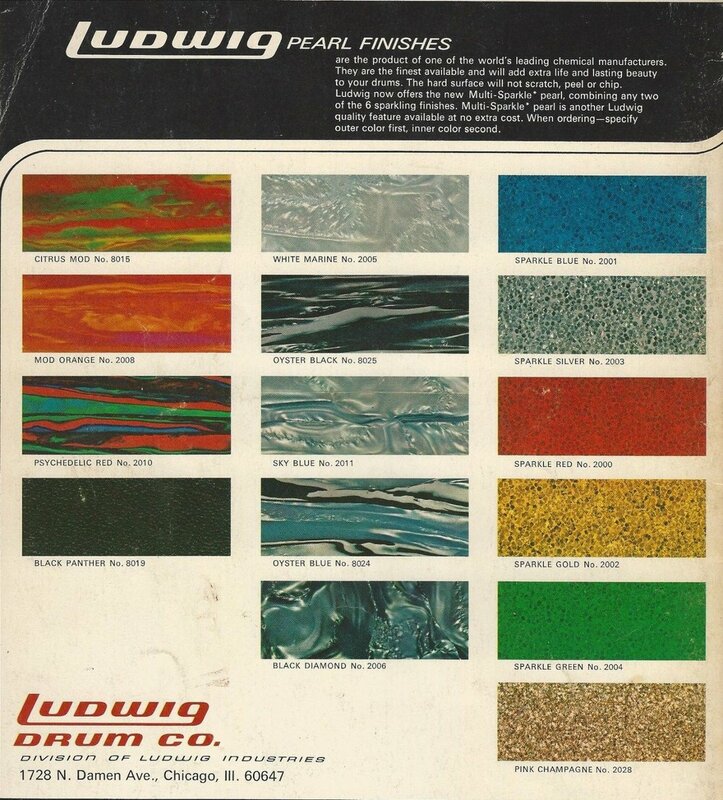 There has been much speculation of why Ludwig chose to wrap over some of the now much sought after mod finishes. I have read because they did not sell well and thought recovering would help sell the drums. 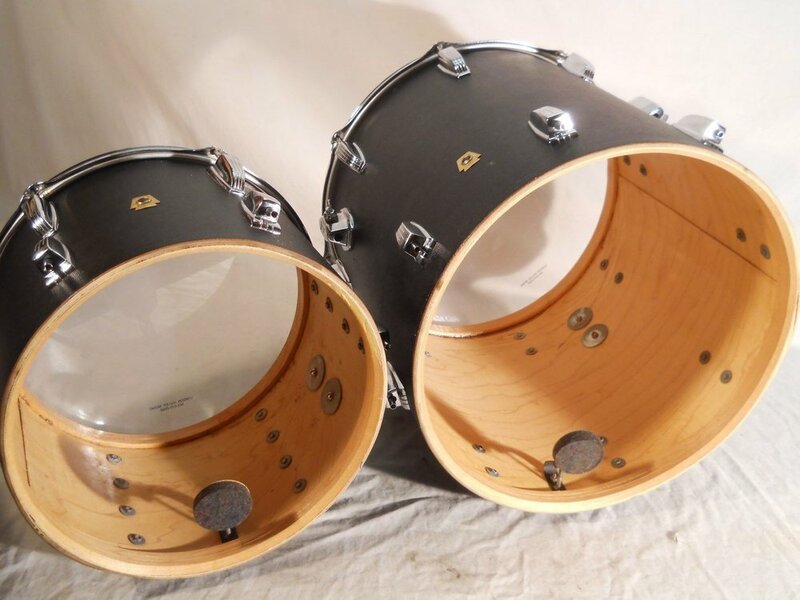 Whatever the case, it’s one of the great mysteries of vintage Ludwig drums! Finding a matching snare has proven to be quite a challenge. 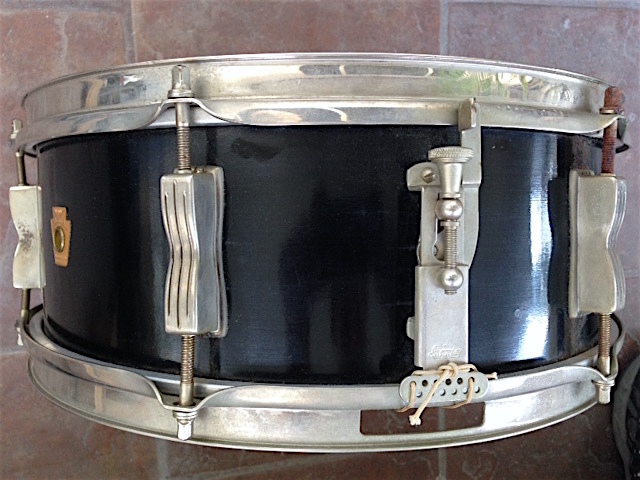 I am still looking but I have found a wonderful 1964 Pioneer in almost perfect original black lacquer that is a wonderful close matching substitute until a Black Panther snare can be found, and those old Pioneers certainly offer the best bang for the buck! These drums sound huge. I don’t usually use much in the way of muting the drums and this kit certainly has wonderful tone even at low volumes. A great set for any genre of music. Black Panther kits are a special breed that you don’t see too often and I am very happy have brought this set back to life to have in my collection.